An easy way to attach any female threaded piece (such as our Type A Camlock) to your sanitary set up. 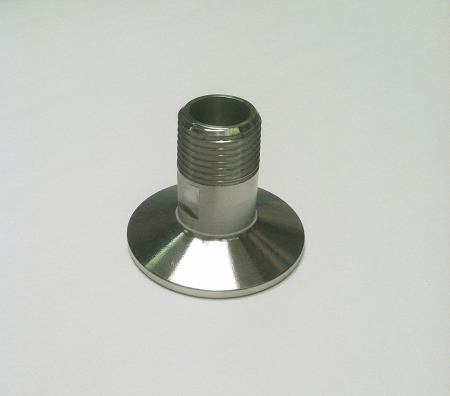 Sanitary clamp x 1/2" Male NPT threaded adapter. I really like the ease of installing and using the sanitary clamps, and at a great price from Stainless Brewing! We've now received multiple orders from Stainless Brewing, and we couldn't be happier with their products and customer service. Stainless brewing has a great assortment of ss products hard to find elsewhere and at very competitive prizes.